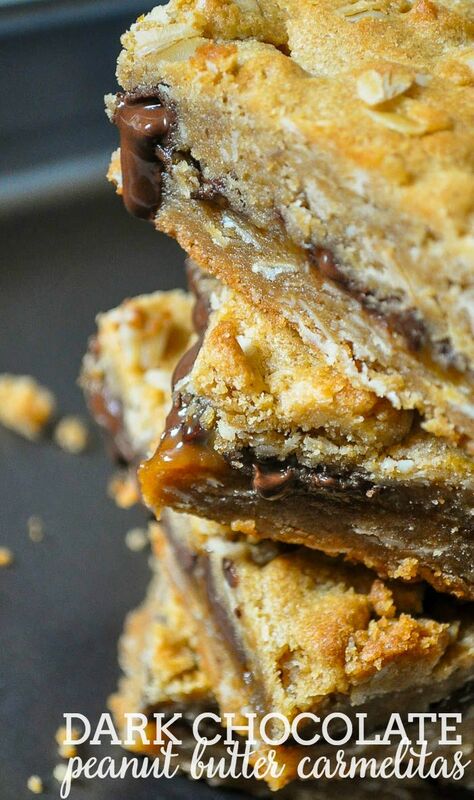 Dark Chocolate Peanut Butter Carmelitas are so decadent that you won’t want to share a single bite! Most months, I participate in a Peanut Butter Blog Hop with some fellow bloggers but I thought about blowing it off this month because I was REALLY stumped. 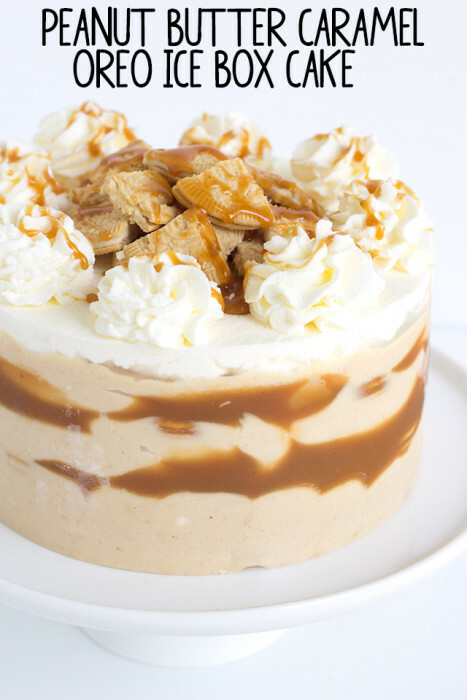 We had to pair peanut butter with caramel. I couldn’t even remember if I ever ate anything with that combination before. I had – a Take 5 bar. I had almost given up hope when I remembered Carmelitas! As a huge caramel fan, carmelitas is a favorite treat of mine so I decided to add some peanut butter into the mix. AND some dark chocolate. This seems like a power combination to me. Three of my favorite things! These are definitely a messy treat! They are so decadent – almost sinful – that you certainly won’t want to share a bite. 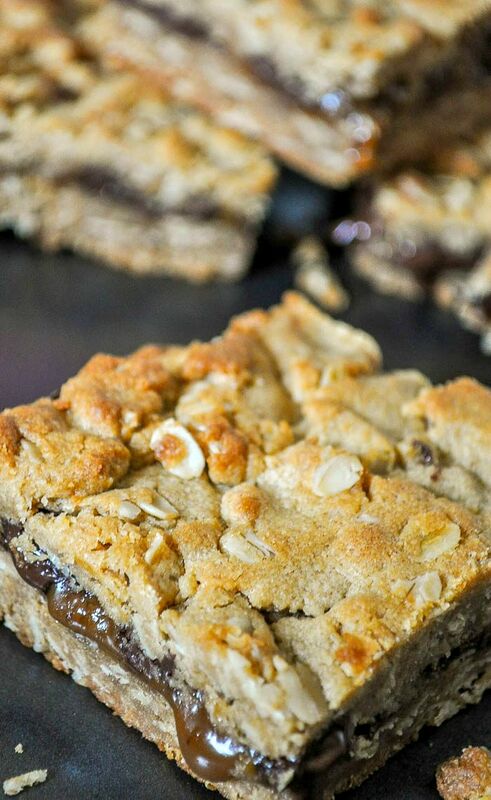 Let these bars sit awhile before cutting unless you are wanting a nice goopy mess. When I eat the leftovers though, I sort of like the goopy mess so I heat my carmelita up in the microwave for about 15 seconds or so. You won’t be disappointed! 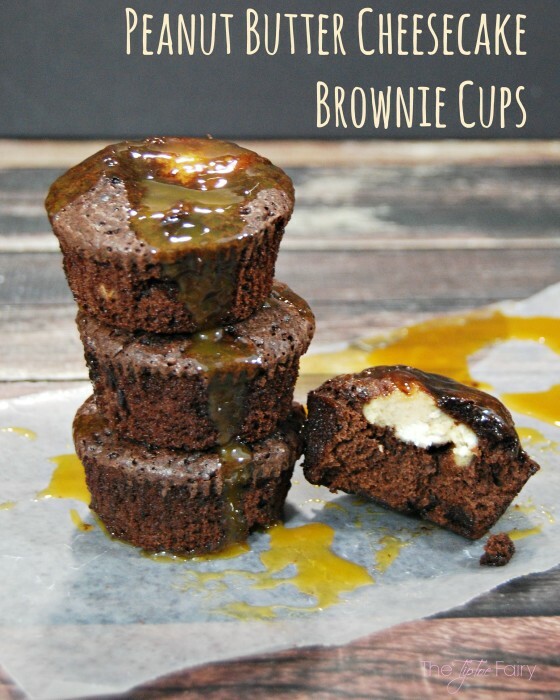 I don’t think it gets much better than warm, dripping chocolate and caramel. Line your 9x13 baking pan with foil. Make sure you wrap the foil up the edges - this will help keep your pan safe from the caramel! Spray the foil with cooking spray and set aside until you are ready. Let your butter sit out to soften, and then cream together the butter and brown sugar. Mix in the peanut butter, eggs, and vanilla extract. Then, add the flour, oats, baking powder and salt. Make sure it's well combined. Add ½ of the dough into your prepped baking pan and use your fingers to press into an even layer. Bake this layer for 10 minutes. 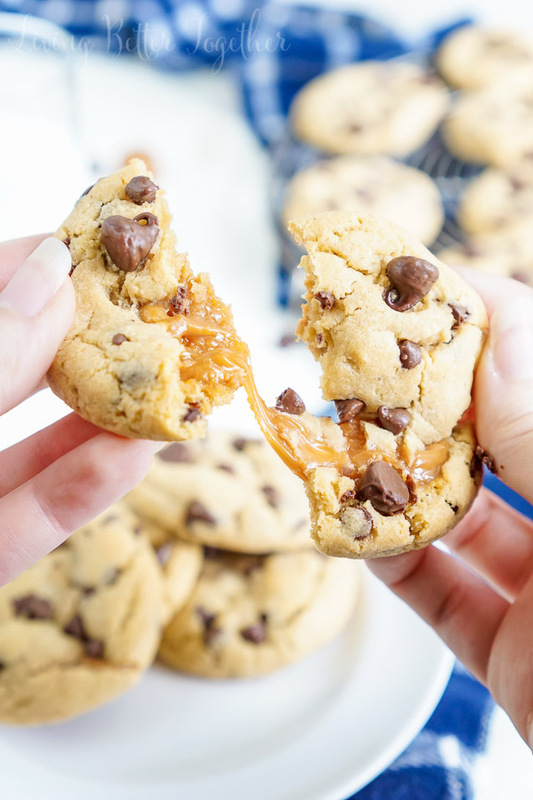 When you remove from the oven, add the caramel sauce and top with dark chocolate chips. Add the remaining dough on top. I use my fingers to flatten pieces of the dough and place on top, slowly creating a pieced together top layer. Bake for about 15 minutes more or until the top is light golden brown. It is okay if it doesn't look perfectly set yet. It will continue to set as it cools. Cool completely before attempting to remove the bars from the pan. Make earlier in the day or the night before OR put them in the fridge to help speed the process along. 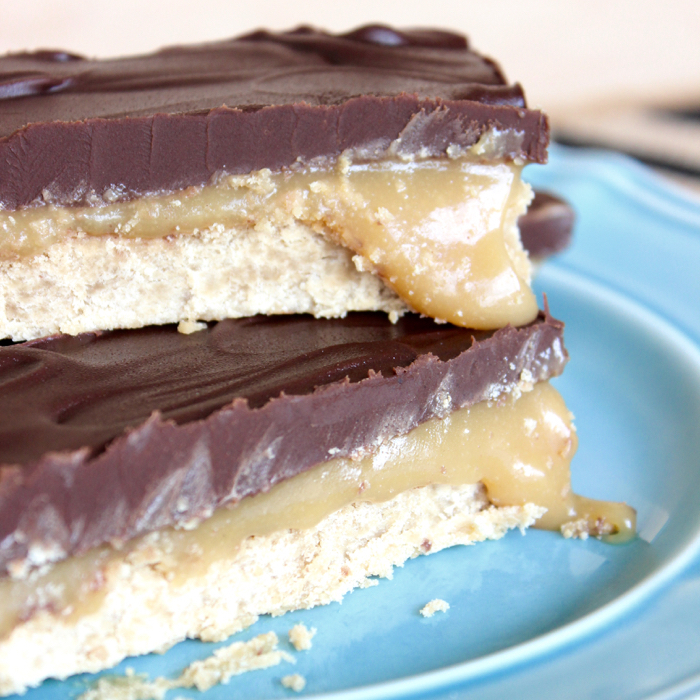 Now, in case you want even more amazing peanut butter and caramel recipes – I got you covered!! Check out six more yummy recipes below! Which one do you want to make first?! 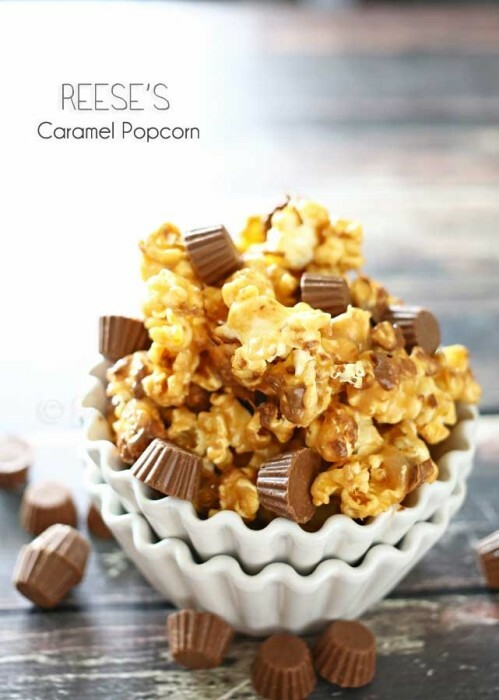 Reese’s Caramel Popcorn from Gina of Kleinworth & Co. These look so amazingly good. 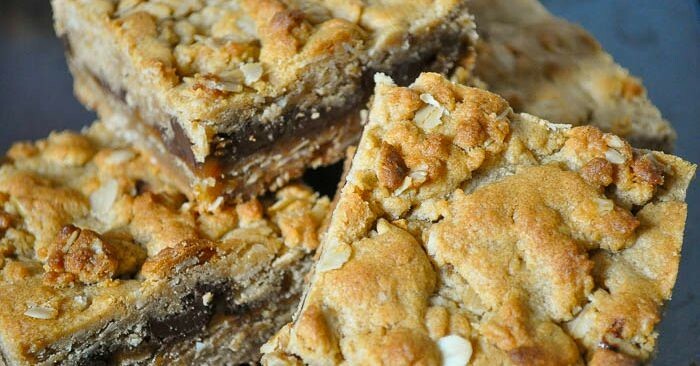 We do not really have carmelitas in the UK so it is something I need to try. 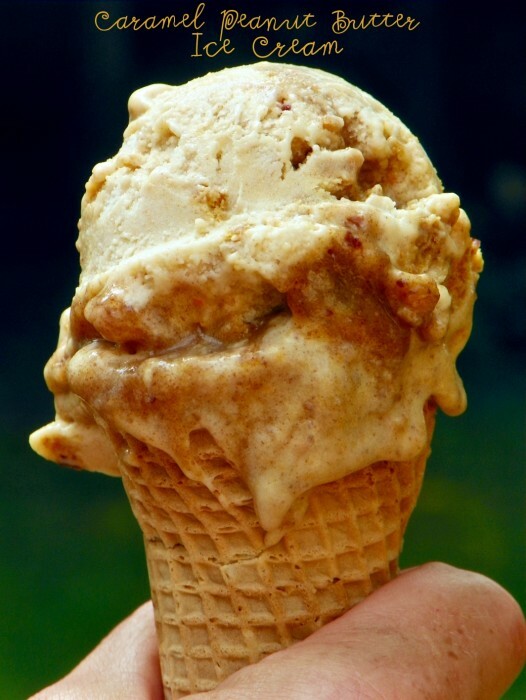 I also love the idea of a peanut butter blog hop! These sound so oozy and amazing! I love chocolate and pb together!